Around the wider world of golf: Stacy Lewis won the LPGA's Cambia Portland Open; Peter Uihlein won the Nationwide Children’s Hospital Championship on the Web.com Tour; Celine Boutier won the Sioux Falls GreatLIFE Challenge on the Symetra Tour; Haydn Porteous won the D+D REAL Czech Masters on the ET; Scott McCarron won the Shaw Charity Classic on the Champions Tour; Patrick Newcomb won the Cape Breton Open on the MACKENZIE TOUR - PGA TOUR Canada; and Michael Buttacavoli won the Flor de Caña Open on the PGA TOUR Latinoamérica. 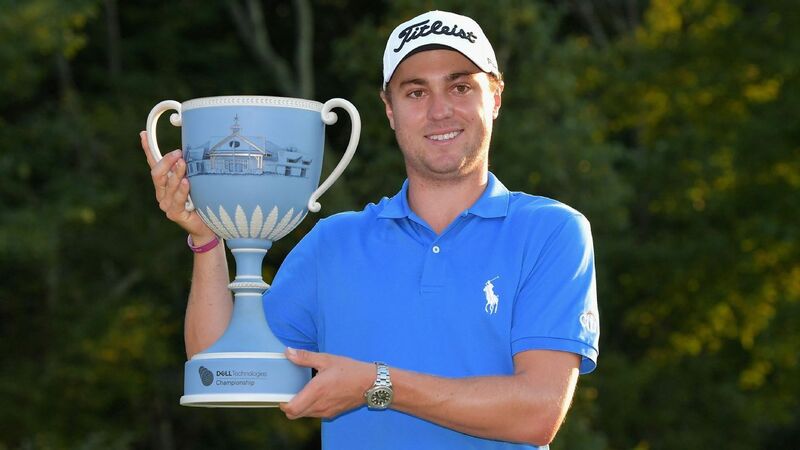 Well, unless Jordan Spieth wins the two last FedExCup Playoff events -- and therefore the FedExCup -- it's hard to believe Justin Thomas won't be the Player of the Year. With five wins, including the PGA Championship and now the Dell Technologies Championship -- his first FedExCup Playoff win -- plus the 63 at the US Open and the 59 in Hawaii, it's pretty much a done deal. After all, Jordan has only three wins (with a major) and Dustin Johnson four wins (no major). Hey, if that's not enough to win it, what does a guy have to do? Ironically, JT still isn't the top dog in the Cup race. That honor belongs to Jordan Spieth, after two runner-up finishes in the first two events. Jordan only leads by 27 points, but it's still a lead... and still enough to guarantee the Cup if he wins at East Lake. Of course, JT can say the same thing if he stays in the Top5 on the points list. In the end, it was JT's play on the back nine that sealed the deal. Everyone tore up the front side, but none of the leaders could match his -2 on the homeward stretch. The result was JT's second win in three events... and his second Limerick Summary in the last month. Wonder what he'll do after a week to rest up? Stepped up to make Mom and Dad proud. The photo came from this page at espn.com.